If you’ve got belts and pulleys to align, this will put you in HOG heaven. 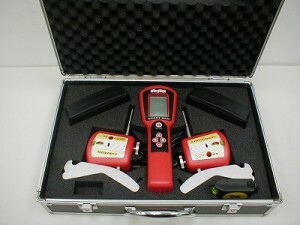 The Belt Hog Pulley Alignment Tool will be the final solution to all your belt alignment needs! One Belt Hog Pulley Alignment Tool comes with two laser transmitters, each equipped with two spring loaded tips which fit into the pulley grooves. One Belt Hog Pulley Alignment Tool also comes with various sized removable tips to fit standard sheave sizes A-E (0.2″-1.6″). 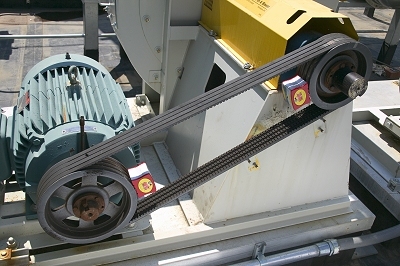 Upon making contact with the pulley, two strong industrial magnets on each transmitter hold the Belt Hog in place. A laser beam from each transmitter shines onto a graduated target label on the opposite unit. Horizontal and Vertical corrections can then be visually determined simply by checking the placement of the beam on the target labels. Laser Shaft Alignment at a price that won’t break the Piggy bank. The ergonomically designed control unit fits comfortably in one hand. The live display means that you get instant feedback when shimming or moving the machines. This eliminates the guesswork and back-and-forth of trying to get machines aligned. © Copyright 2015, Kinetic Improvement, Inc.